An online survival action game developed by Gamepires and Croteam, the creators of Serious Sam. 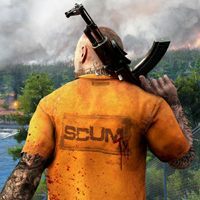 SCUM for PC is a survival multiplayer action game developed by two studios: Gaz Guzzlers Extreme Gamepires and Croteam, the creators of the Serious Sam series. They were helped by Devolver Digital, one of the popular independent publishers. The action of SCUM takes place in a fictional reality where people desire intense experiences and unusual entertainment. To satisfy its viewers’ needs, the TEC1 station created a brutal show called SCUM in which prisoners fight for life as well as sponsors’ and fans’ favor. The first season took place on the closed area of Alcatraz but in the second one, it was decided that the contestants will have more room to maneuver on the Bagne de Cayenne island. The title is an unusual survival game where players assume the role of prisoners taking part in the program. Our task is to survive, and to do so, we have to use both our knowledge and skills. These two elements are key to success because while playing, you not only have to take care of basic stuff such as gathering food, but also to train ourselves in firearms use, perfect our martial arts skills, or learn to hack. Additional highlight of the unusual tournament includes numerous sponsors and producers of the program that are worth to ingratiate with if we want to survive long. Once we accomplish it, we can count on unique and valuable gifts, and should we die, they will resurrect us with all of our belongings and acquired skills. SCUM for PC is powered by Unreal Engine 4 that was used in many other productions, including Final Fantasy VII Remake. Expectations: 8.3 / 10 calculated out of 86 players' votes.